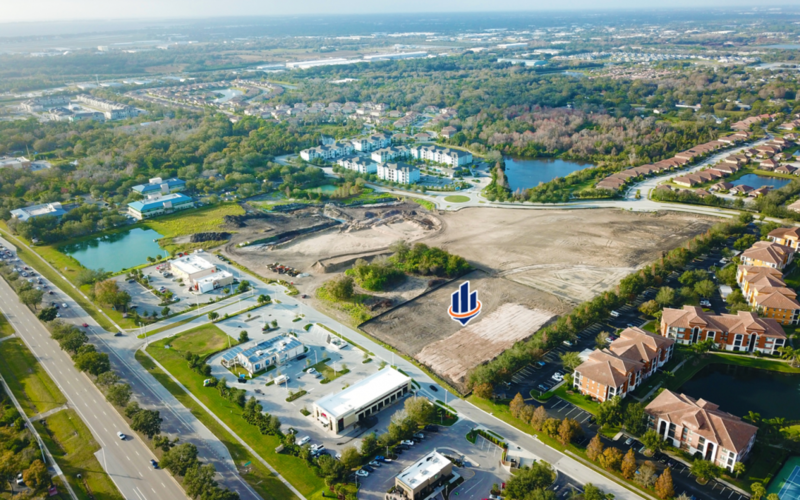 University Groves Development, LLC, was the seller of the property at 2590 University Parkway in Sarasota. The buyer, Quest Development Co., plans to build a Staybridge Suites hotel with 102 units on the land. Construction of the hotel will take place simultaneously with that of two other major projects in the town center. The Harrison Residences is a 240-unit apartment community by LIV Development, and The Alloro at University Groves is a 183-unit senior rental community by The United Group of Companies, Inc.
Properties in the town center are part of a planned community, located conveniently between Bradenton and Sarasota. The SVN Florida Multifamily team and the SVN Florida Land Alliance are composed of select groups of experienced commercial real estate advisors. In addition to traditional commercial brokerage, these advisors provide the entire spectrum of acquisition, market positioning and disposition services for these specialized offerings. Founded in the spirit of collaboration, the teams are able to provide a single point of contact relationship for clients interested in any multifamily or land asset in Florida. SVN is the only commercial real estate company that markets all of its properties to the entire brokerage and investment community. SVN advisors share commission fees with cooperating brokers to close more deals in less time and at the right value for clients. This open, transparent and collaborative approach to real estate is the SVN difference. SVN, a commercial real estate brokerage firm headquartered in Boston, is one of the industry’s most recognized and powerful brands based on the annual Lipsey Top Brand Survey and Commercial Property Executive Magazine. With more than 200 locations in 500 markets, SVN Commercial Real Estate Advisors provide sales, leasing and property management services to clients worldwide. The Florida team consists of more than 100 advisors serving locations across the state. For more information on SVN Florida, visit www.svnflorida.com.